Join us for our first show at our new home in New York, Caveat! To celebrate, we're bringing you five stories about new beginnings in science. Myq Kaplan is a comedian named Mike Kaplan. He has been seen on the Tonight Show, Conan, the Late Show with David Letterman, Late Night with Seth Meyers,the Late Late Show with James Corden, in his own half-hour Comedy Central Presents special, and in his own one-hour special on Amazon, "Small, Dork, and Handsome." He has been a finalist on Last Comic Standing and recently appeared on America's Got Talent. His album "Vegan Mind Meld" was one of iTunes' top 10 comedy albums of the year, and his latest available now is called "No Kidding." And that's only the past! Even more to come in the future! Check out myqkaplan.com for more information, and/or live your life however you choose. Thanks! 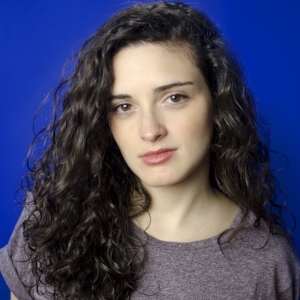 Shannon Odell is a neuroscientist, comedian, and writer based in New York City. She co-hosts and produces Drunk Science, a comedy show at Littlefield in Brooklyn. She can also be seen looking at brains at Weill Cornell Medicine, where she is a Neuroscience Ph.D candidate, focusing on the epigenetic underpinnings of memory. Hailing from Kansas City, Missouri, Justin Williams is black and comfortably middle-class. Justin developed his sense of humor as a defense mechanism because moving between divorced parents caused him to always be the “new kid” in school. So it was either be the nerd or the funny nerd. Justin chose the second option, mainly because Steve Urkel was huge back then. Since moving to New York City, Justin parlayed that awkward energy into a unique stand-up act, complete with deadpan delivery and a knack for sarcastically pointing out the absurd. As one of New York City’s funniest up-and-coming comics, Justin has performed at comedy festivals across the United States and Canada. He has also been featured on Comedy Central’s Jokes.com, Mashable, SiriusXM’s Raw Dog Comedy/Foxxhole Radio/Dean Obeidallah Show, The Elite Daily, Men’s Health Magazine, The Kansas City Star, ‘Morning Buzz Live‘ on VH1, ‘Trial by Laughter’ on Comcast, ‘Laughs’ on Fox and ‘The Comedy Show Show’ on Seeso.